Sometimes you wake up Monday morning and can plan your entire week…this was not one of those weeks. Back in March, I received a phone call from a good friend of mine named Dave. He told me that they wanted to do a Rodeo Bible Camp in Hepler, Ks. (I will give you a second to google it…because I had too). He had given my name to a guy named Chuck who I had met a few years back at the Fort Scott College Rodeo. 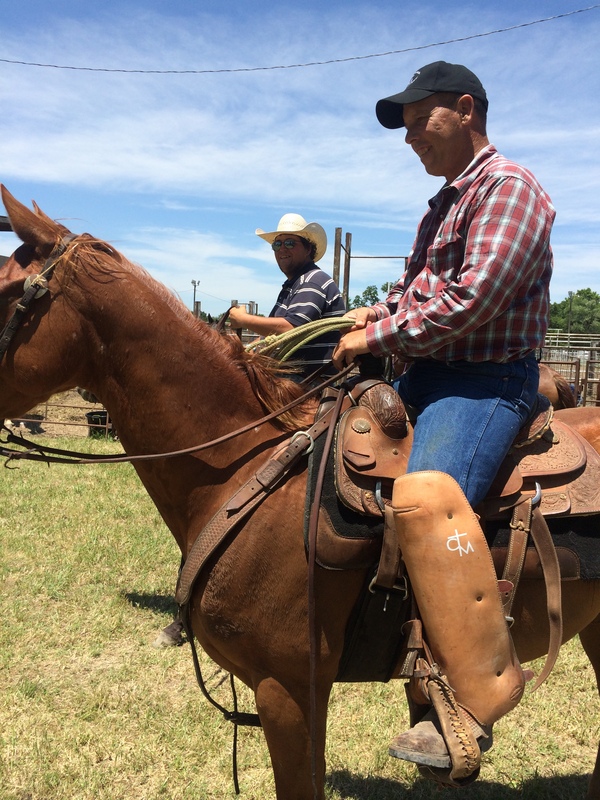 Chuck and his wife Darlinda had started a Cowboy Church and Ministry in Hepler, Kansas called Cross Trials Cowboy Ministry and were haulin’ kids to rodeos and reaching out in the community. They thought the next step was to do a Rodeo Bible Camp. Chuck called me one day at the school at the end of March during 7th grade lunch and asked me to come down to help out. He needed a bullfighter and a speaker. It was lunch time and loud so I didn’t get much of the conversation, but the week was booked. Through the hustle and bustle of summer, the week arrived quicker than I had expected. With the task of preaching on my mind, I knew I needed some help in the arena so I asked a friend of mine, fellow youth pastor and bullfighter, Brent Noe to accompany my wife and I to the two-way-stop-metropolis of Hepler. On the way down, Tricia asked questions about camp and Brent and I had no answers….she knew as much as we did. That is the thing about camps and their first year: you never really know what to expect. We were blown away. By now, if you had been keeping up with our travels, you know that each camp has a different feel and atmosphere. Gardner has been doing camp for years and Ed, Scott, and the crew just make it happen with their consistency and details. It has always been fun to go and be part of the crew, talk with people who struggle the same as I do, and be just one of guys. Nevada has always been family, with people who are in your life constantly, ready to encourage and build up, to serve and support. Unionville has always been a place where I can go and get away from all the things that have been weighing me down. They knew I was a youth pastor, but I didn’t have to be when I was there. I had little responsibility and I loved being able to be the fun guy without thinking about the insurance. So what was Hepler? 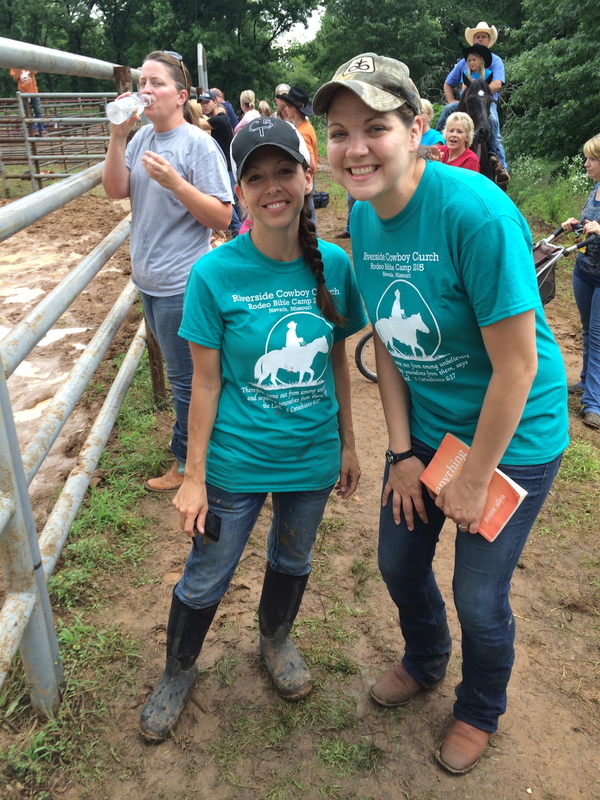 First off, it was a Rodeo Bible Camp tied to a Church (which I loved). My role in life has always been stated clearly in Ephesians 4.12: “to prepare God’s people for works of service, so that the body of Christ may be built up.” When Church’s do camps, the connection, ownership, and follow up occure more naturally than when an organization does it. I’m not saying its better or worse, just simpler. With some camps the natural inclination is to say “see you next year” but with a camp that is tied directly to a Church, the simple phrase “see you next week” can be said. On top of that, the ministry conversations that I had with Chuck, Darlinda, Jeff, and Scott forever changed the way I will view ministry and brought real world application to the stories of Acts 7. 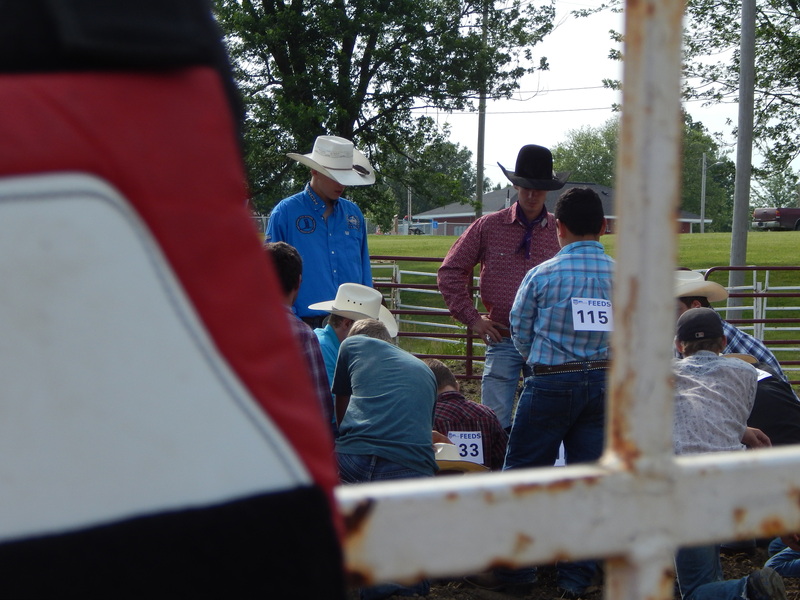 Chuck is one of the most gifted men behind the chutes with students that I have ever seen. This man is hauling 6 kids to rodeos all over SE Kansas and doing life in the chutes, hanging flanks, and pulling bull ropes. The kids saw it, responded to it, and respected it. That is a pastor who’s covered in the same dirt they are, just like Paul would have been if he was a rodeo man (1 Cor. 9.22). Secondly, they were a group wanting to do things right. Gardner has been around 22 or so years; Unionville, 10; and Nevada, 9. They took their lumps and learned from them. They put on awesome camps now because they have seen the fruits of their dilegence, God’s provision and blessing, and experience. Hepler will get there some day. There wasn’t a single thing that went on that the people didn’t ask Scott, or Brent, or I about afterwards. They wanted to learn, wanted opinions, and wanted to think things through. I forget about people sometimes. I forget that others have wisdom to impart. There wasn’t an opportunity wasted to talk about the future and to dream. As I look back on the week of camp that we were blessed to be apart of, only one thing bothers me: Did I present the Gospel clear enough? For many of the other camps, many campers had been regulars. I looked out the first night of preaching and saw students who had forged a relationship with Chuck and Darlinda and were on the first steps of a journey with Jesus. Did I do my part faithfully to what God had called me too? Was Jesus made clear and everything else fuzzy? Was my path to the cross short enough in the message? I looked out that first night and saw students struggling to find verses in their Bibles. Kids without a foundation in the word were trying to keep up. The role of the teacher in that moment is to make it as clear as possible how much God loves these students and what He did to save them. The question haunts in the back of my mind: was it clear? I pray that journey’s were started that week and that the message, despite my weakness and unclarity, was deposited firmly in their hearts. 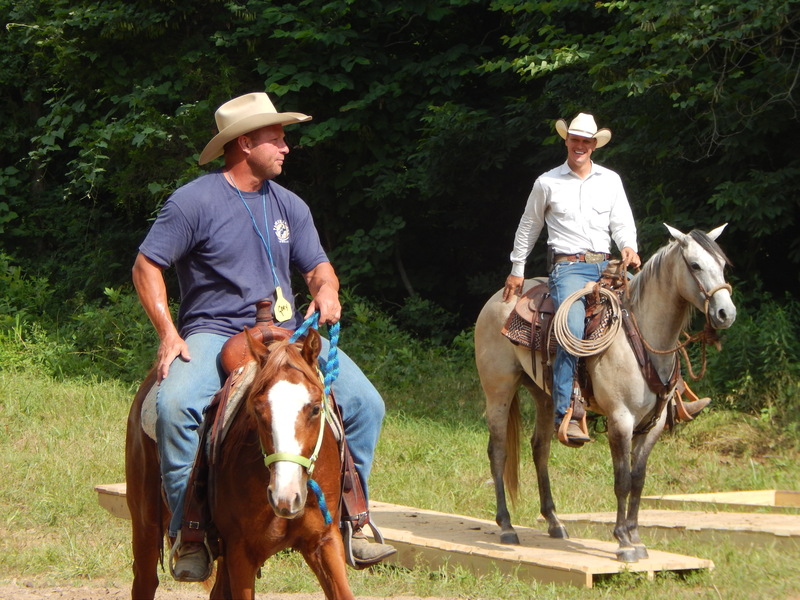 It was truly a blessing to get to say that I was part of that camp and Chuck, Darlinda, Dave, Dusty, Cody, Jeff, Brent and the rest of the Cross Trails Cowboy Ministry immensely blessed us that week. I realized during the week of Chariton Hills Rodeo Bible Camp that I am not as young as I used to be and not nearly as wise as I hope to be. Chariton Hills Camp has always held a special place in my heart. When I first was asked to help out 5 years ago, I knew absolutely no one at the camp and had no idea Unionville, Mo even existed. Every year I get to return to the Putnam Co. Fairgrounds, it gets harder and harder to say goodbye to some of the best people I know. With men like Kevin and Steve, Jason and Jeremy, Ben, Tom, and Rich; running around camp, I cant think of a better place to spend a week of summer. This year was especially fun because somewhere over the last year I grew up (check that); grew older somehow. 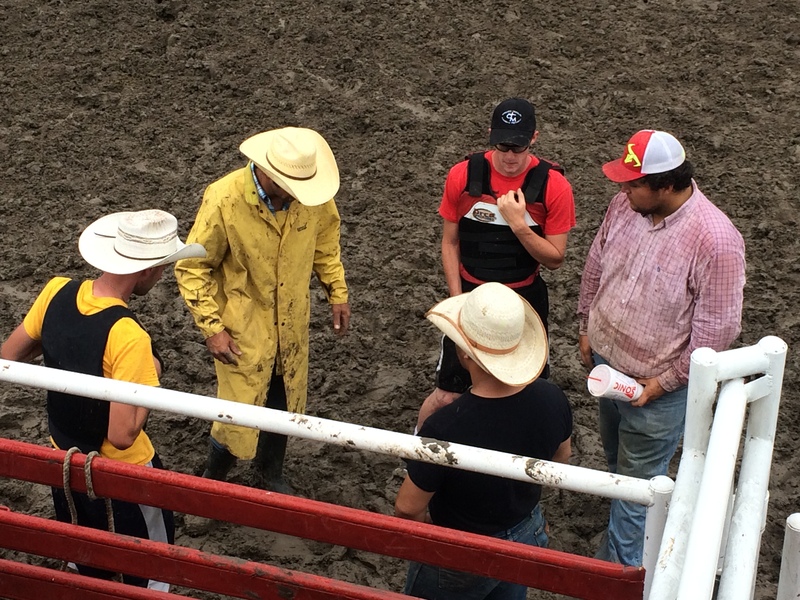 It all started with a phone call back in May when one of our bull riding instructors had fallen through and we had to find a new one ASAP. I made a call to a young man who I had seen ride bulls for the last few years named Jake Drews. Between him and Chase Hamlin, we had the bull riding covered but something else happened as well, they jumped into the camp mindset. They played football every minute of free time, sat with the guys and talked, and ate a ton of ice cream. These young men that I had watched grow up, now were the ones others were watching. Tricia and I sat and watches as Jake and Chase occupied the attention of the campers. We realized we had gotten older when Jake, Chase, Brittney, and Ashley wanted to challenge us to a game of basketball. Thinking it would be around dinner or during free time, we agreed. When they arrived to take us on at 11:00 pm, it wasn’t going to happen. That is bed time now! 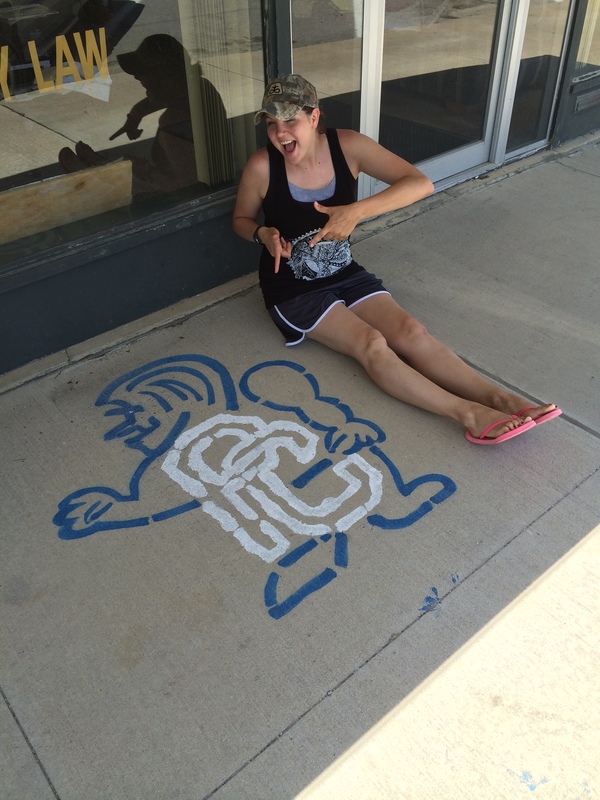 Camp keeps me young…but I hope it makes me wise too. 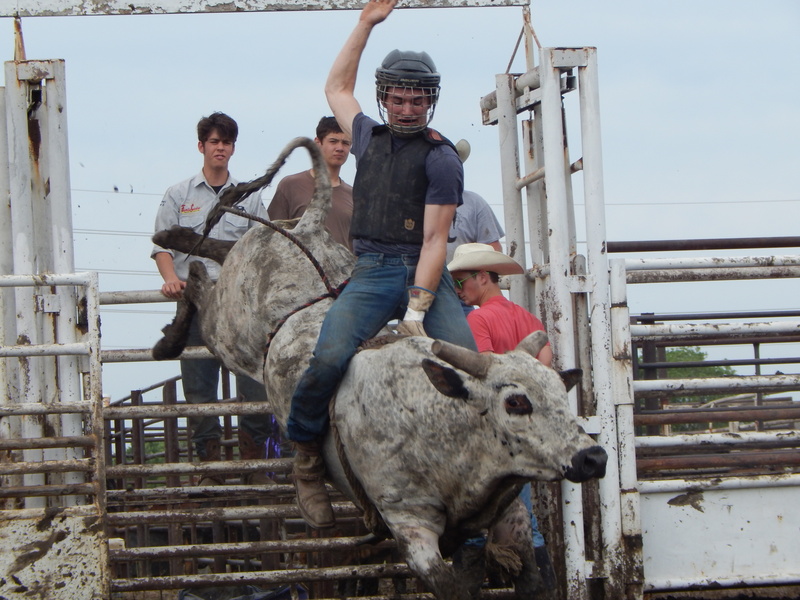 Some of my favorite moments of camp came between the bull rides or between barrel runs. Talks with Chase and Jake about riding bulls and life; talks with Steve about roping, ranching, and serving the church and the community; talks with Tom about ministry and Rich about feeding the sheep. Time for those talks are rare. Camps are hard on marriages sometimes. Rodeo has a way of spreading people thin, so when you get to sit and talk with people for a while, you want to take advantage of that. Between the ever-willing-to-listen and timely advice of Pastor/Funeral Home Director Kevin, President Jason, and Worship Leader Ben, it was a week of learning all the things I wished I had learned in my first couple years of marriage. Spending the week stuck somewhere between energetic youth and wise sage, trying to learn from both, was what made this camp great. I spoke, but felt like I learned more than anything. Every year we pull out of Unionville, I feel more like a camper than I did staff or bullfighter. God had been hammering on me about the things I thought I had figured out. A man is self-reliant. A man is always sure of his abilities. Leadership can only be done from above. Learning to be a part of a community that takes care of one another and learning to be taken care of is a process that everyone needs to go through. Even the greatest of men still question themselves sometimes and its often the guy who’s taking out the trash, pushing out steers, serving the cheesy-taters, or haulin’ panels who’s leading…you just might not recognize it.